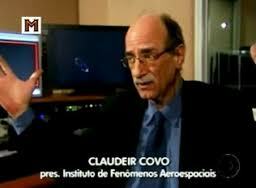 This Sunday, May 5, passed away engineer Claudeir Covo, in the city of Sao Paulo, Brazil. Mr. Covo has been since a long time a member of the UAPSG-GEFAI and is well known for his dedication of decades to the UFO subject. We particularly mention his contribution in the analysis of the Phoenix lights which he concluded were flares. Engineer Covo was the president of the Institute of Aerospace Phenomena, and co-Editor of the well know UFO magazine. To his wife, to our colleague Ademar Gevaert who publishes the UFO Magazine and to the UFO community in Brazil, we extend our sincere condolences.